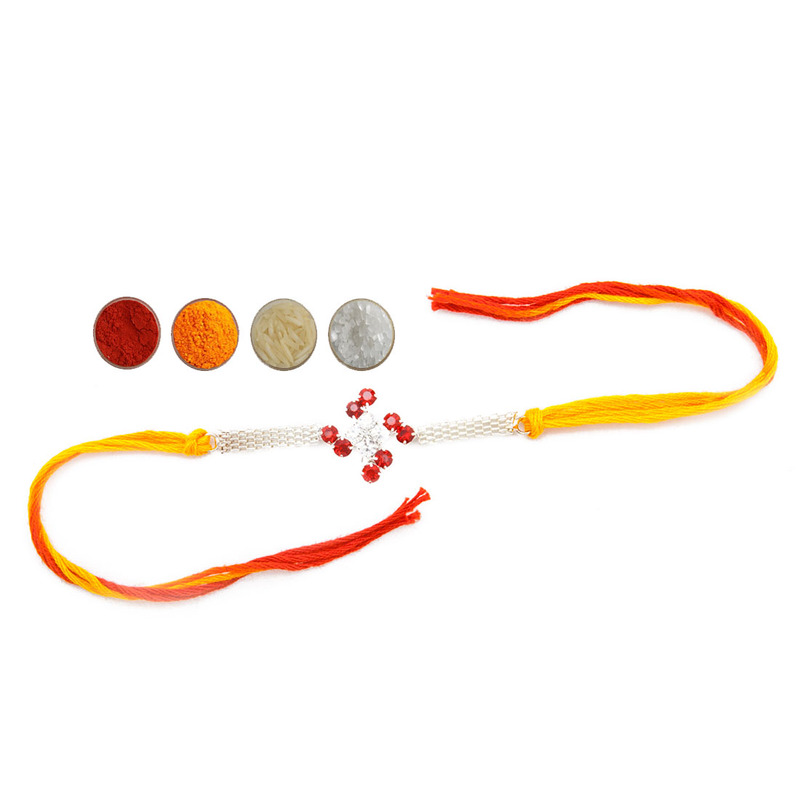 If your brothers are fond of jeweled and bracelet rakhis then this set would be a perfect rakhi option. 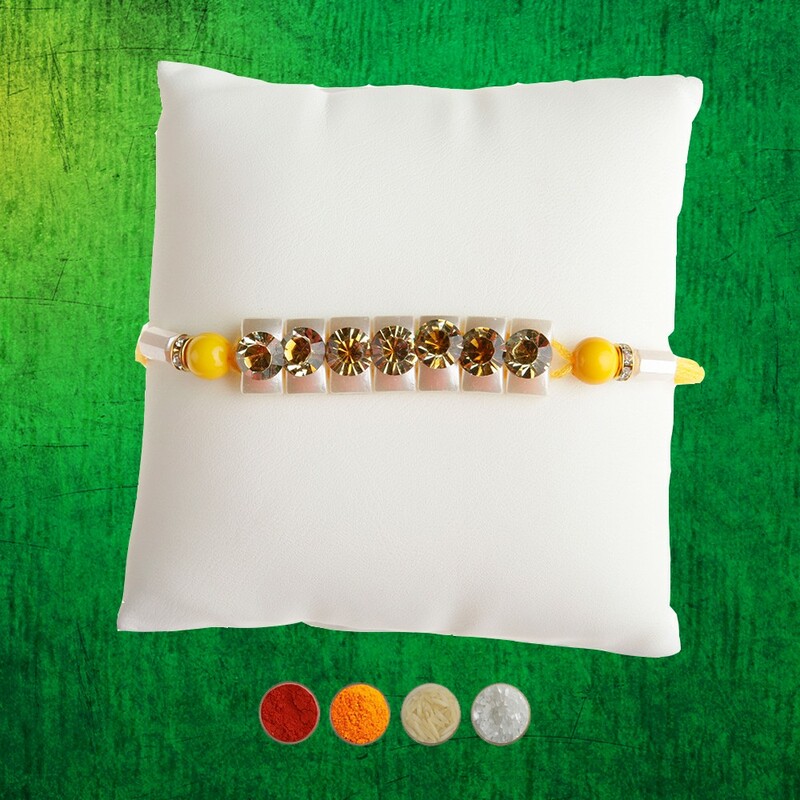 The set consists of four jeweled and ornamented rakhis with golden & silver chains and diamond aura sparkling white premium stones giving an elegant look. 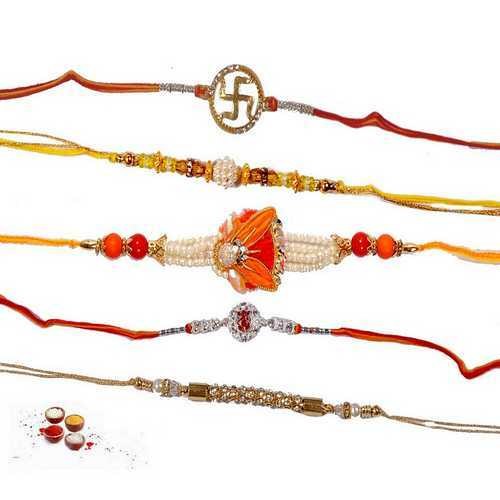 The first three rakhis are completely bracelet style rakhis which have golden and silver chains decked with sparkling american diamonds. The fourth rakhi is artfully crafted with floral motif in the middle studded with american diamonds, red & green kundan stones. 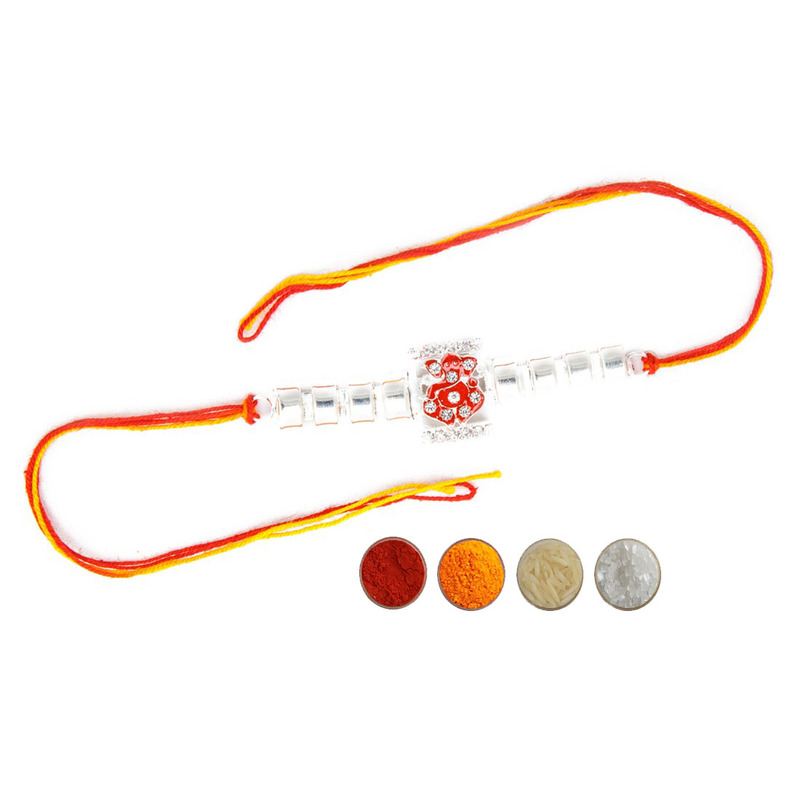 All the rakhis are very elegant and attractive, will surely impress your brothers. 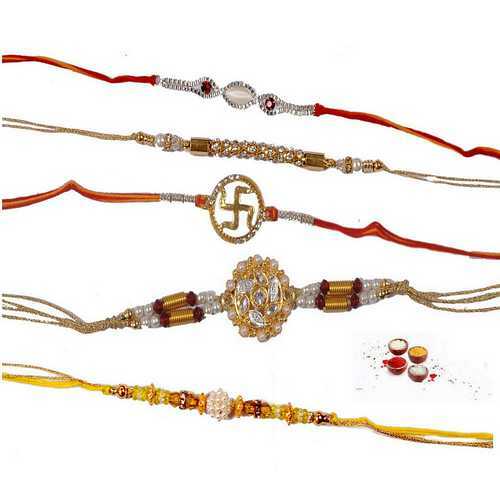 Send your love and rakhi wishes to your brothers with these jeweled and ornamented rakhis online to India. Build strong and everlasting relationship of love, care and protecting with them. 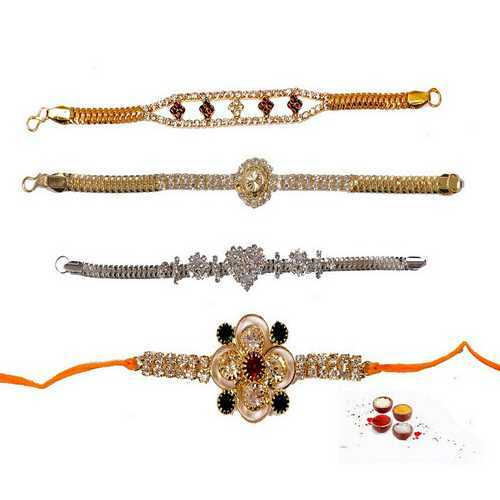 We are offering these jeweled rakhis with complimentary Roli, Chawal, Chandan and Mishri in very attractive pack.